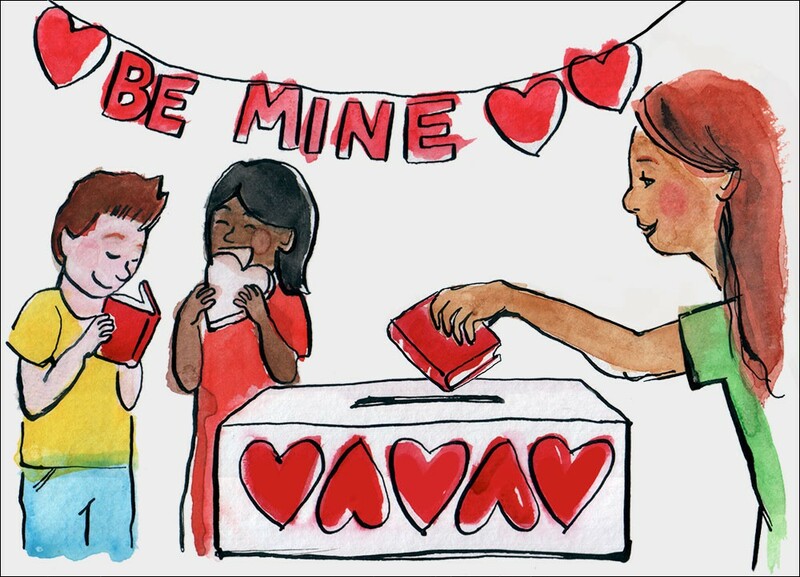 Two things I loved about grade school: Valentine’s Day and books. Even now, when someone mentions Valentine’s Day, my mind immediately goes to childhood days gone by, where I traded paper valentines with classmates, each of us filling one another’s decorated Valentine’s Day boxes with an assortment of handwritten cards. In much the same way, I looked forward to the monthly book orders and annual book fairs at my school. When the order forms for new Scholastic Reading Club books came in, I pored over the selection and carefully chose the titles that sounded the most interesting to me. It was always exciting when the books arrived and we got to take them home. Receiving and giving valentines and books were favorite parts of my childhood, and the memories attached to these things remain very special to me today. And so, Valentine’s Day is here again already. As I recently discovered, February 14 also marks International Book Giving Day. Pairing these holidays makes a great deal of sense. Valentine’s Day traditionally being a day for showing others we care, our collective mindset is primed for opening our hearts, spreading joy and giving gifts. This is where Book Giving Day finds a warm welcome, with its mission to “get books into the hands of as many children as possible.” This means both new and gently used books are fair game—anything that will benefit a child. Donate books to a library, where they can be shelved or sold to raise funds for other books. Donate books to a medical office or other such place with a waiting room (e.g., a car dealership, hair salon or spa). Give books to/trade books with the children of family and friends (e.g., books that your children have outgrown). Attach a book plate to any book you donate/give/trade that asks the recipient to read the book and then pass it along to another reader. Spread the word about Book Giving Day on social media, using #bookgivingday. Start planning your own 2016 book-raiser! Check out Milk+Bookies, a non-profit organization that helps plan events for collecting books in the U.S. and Canada, for more information on hosting one of these. As we enter this day of cards, candy and flowers, consider also the simple gesture of passing along a book. Much like that paper valentine received from a classmate, one book has the potential power to make a young person feel special and valued. And if this were to help instill a love and appreciation for reading that lasts a lifetime, I would say that Valentine’s Day just got a whole lot sweeter!